Super, first and foremost, is not for everyone, by any means. But then James Gunn isn't really interested in making entirely accesible films, he's out to make B movies for the modern generation. This is a gory fucked up film about a loser who most likeley has insane visions and decides to fight back against crime with a wrench after his girlfriend leaves him for a drug dealer. The film has a wicked sense of humor that is often hilarious and grotesque all at once. Rainn Wilson plays the Crimson Bolt, and he does it with all the awkwardness you'd expect. He does a fabulous job at keeping the character sincere and ignorant all at once. The guy is ultimately a nobody, so understandably his patrols go horribly wrong, resulting in unintentional murders and handicapped people getting caught in the crossfire. If deity superheroes and tentacles from God seem offensive for you, then stay away, as this is absolutely not the film for you. 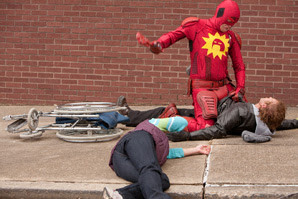 I would wager you need to be a little off to enjoy this film, but I found it a hilarious send up of super hero flicks. A what if normal people became vigilantes and all the horror that would come with that is shown here in vivid detail. And who else would a psychopath surround himself with? Well more psychopaths of course. 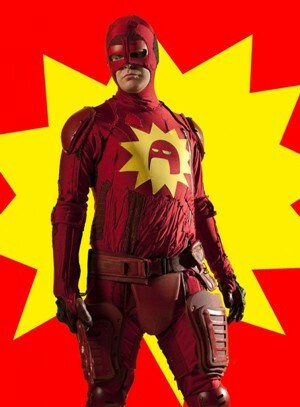 Ellen Page does some awesome work here as the Crimson Bolt's sidekick Bolty. Page is good at what she does, which is essentially just playing a variation of Juno over and over. 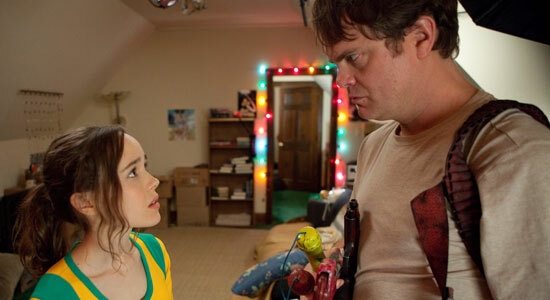 But here James Gunn added a very awesome component, making Juno a sexually frustrated sociopath. The places Gunn takes her character are perhaps some of the most shocking, and serve as a mirror up to Rainn's hero as to what kind of lunacy he's actually becoming. Gunn shoots the whole thing like a home movie with plenty of hand held and crowded scenes. Not crowded with people but always with junk everywhere, adding more to the complicated mind of our narrator. 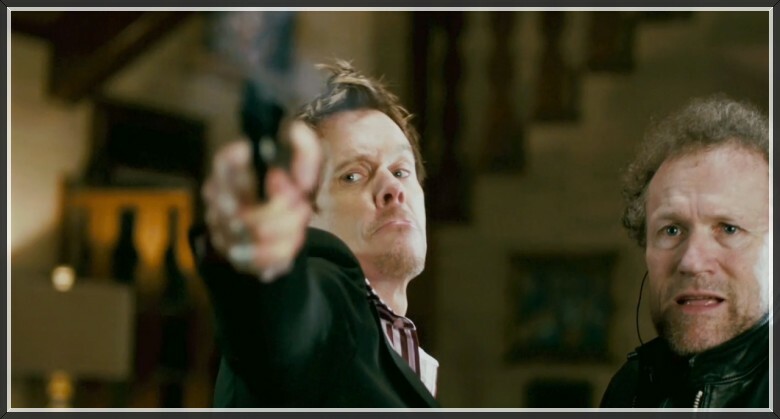 By the time the Crimson Bolt gets ahold of some guns you're either on board or have turned the movie off. Again this is not for everyone, but I thoroughly enjoyed this demented and depraved spin on super heros. This is a great movie to watch with your friends while enjoying some adult beverages. Its never going to win any awards, but its a fun time and something different to enjoy. One last thought - Kevin Bacon does another great villain as "Jacques"